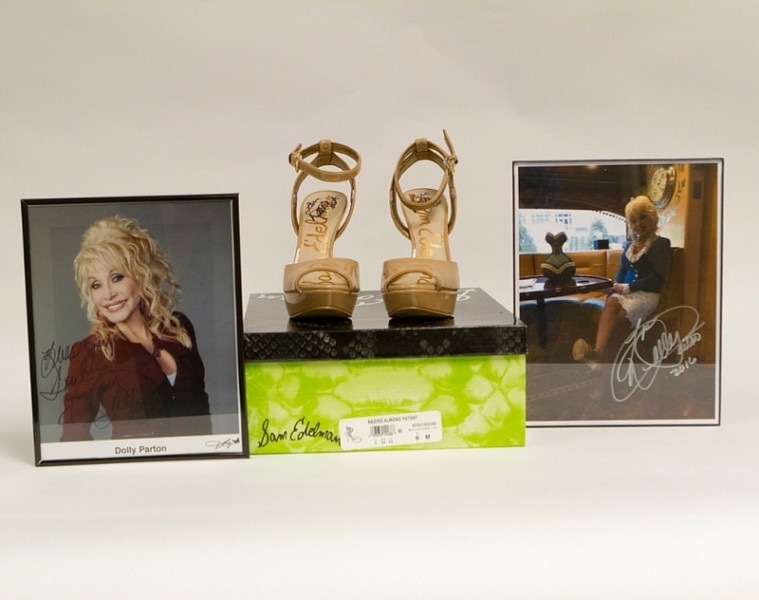 Dolly Parton have donated Autographed shoes for the Soles4Souls Auction. The Autographed shoes will be on Auction at ebay for Charity, you can bid between Friday June 3rd to midnight on June 10th CST. The proceed will help Soles4Souls to distrube shoes to those who need in USA and around the World. This entry was posted in News, Uncategorized and tagged Auction, Autographed Heels, Charity, Dolly Parton, Donated, Ebay, Soles4Souls, World by dollyfan. Bookmark the permalink.